Arthur Sanderson & Sons Ltd. 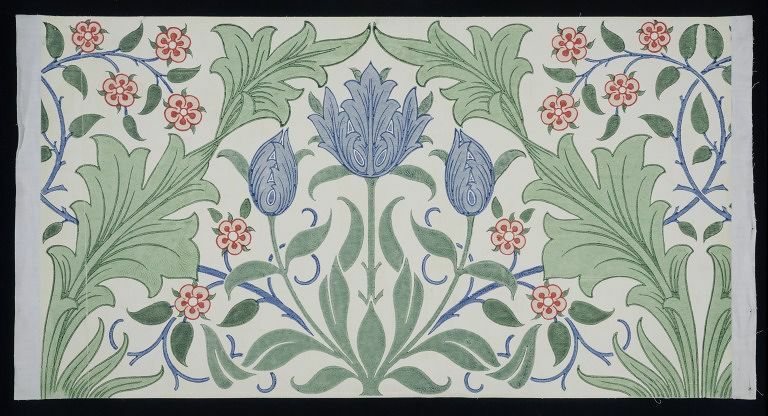 Portion of 'Tulip' wallpaper frieze, flowering tulips with other flowers and foliage, on a pale ground; Print on paper. 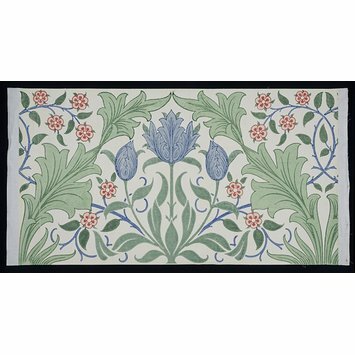 Portion of 'Tulip' wallpaper frieze, flowering tulips with other flowers and foliage, on a pale ground; Print on paper; Designed by William Morris; Produced by Morris & Co.; Reprinted by Arthur Sanderson & Sons Ltd.; England; ca. 1955. This is paper is one of a number of reprints of Morris & Co. designs produced by Arthur Sanderson & Son Ltd. ca. 1955 (E.1401-1432-1979).